themiah06 replied to themiah06's topic in Balls, Carts/Bags, Apparel, Gear, Etc. Thanks for the reply guys! I'll definitely check out the Noodle ball! True, I guess there isnt a point to playing a specific ball for consistency if you swap it out sometimes. I played 18 today in St. Louis at Gateway National. I teed off at 12:30pm and it was 26 degrees with snow flurries flying everywhere in the air. The first 6 holes were cold and tested my resolve to get out and play... Once it stopped snowing the sun came out and warmed up to the low 40s. I wasn't too concerned with my score today was just happy to get out playing. After I finished the round, I tallied up my score and shot 84 (+13), 45 on the front nine and 39 on the back! Easily my best score ever and in the worst conditions I have ever played in! What a funny game golf is! The sad thing is that my golf buddy, who opted out of playing today, doesn't believe my score is accurate... Haters going to hate! I feel like I'm the odd one out here... 90% of the time I'll use my 60 around the greens. Guess it explains why my scores are so much worse! themiah06 replied to Sandhills Golfe's topic in Balls, Carts/Bags, Apparel, Gear, Etc. I have a driver swing speed of ~105 mph. Will Q-Star still work? Thinking of gaming either the Z-star or the Q-star... 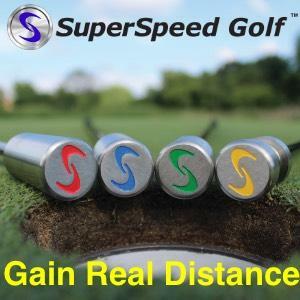 Anyone know their swing speed ranges for optimal ball performance? themiah06 posted a topic in Balls, Carts/Bags, Apparel, Gear, Etc. Hey guys! I was just wondering at what skill level should someone start playing the same ball? I started playing golf last June and have made decent progress on my game. Right now, I'll use any old ball I find lying around on the course, and I can certainly tell the difference between different golf balls. I don't know if buying a particular ball will help my game because on average I'll lose 4 (give or take) balls a round. Any input or advice would be much appreciated, thanks!